Cheryl graduated from the University of Leeds, United Kingdom in 2010 and was admitted as an Advocate and Solicitor of the Supreme Court of Singapore in 2012. 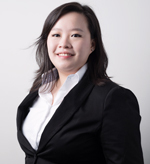 She was appointed as an Associate Mediator with the Singapore Mediation Centre in 2014. 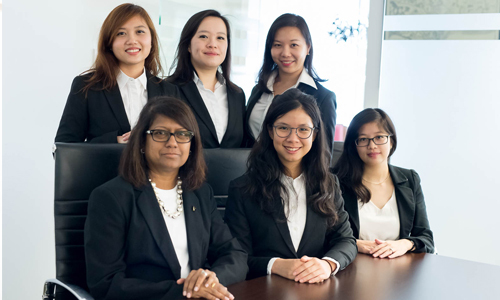 Cheryl returned from the United Kingdom to do her training in local firms where she was involved in a broad range of general litigation matters including matrimonial, corporate and commercial disputes, arbitration and criminal matters. Cheryl also gained experience in general corporate and probate and administration matters. Cheryl has a particular interest in matrimonial issues. 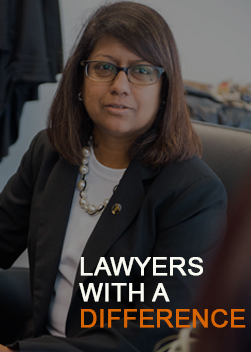 She is passionate about her work and believes that as a family lawyer, she has the opportunity to help people as they are going through what is probably the most challenging period of their lives. She strongly believes that clients should explore the option of mediation to enable parties to come to amicable settlement with the least amount of emotional distress possible to all parties involved, this is particularly so in cases which involve minor children. Being effectively bi-lingual and having a background in psychology, she is able to connect well with her clients. This gives her a distinct advantage as she finds that she is able to more effectively interview and counsel her clients, craft persuasive arguments, design effective exhibits or conceive useful analogies. Cheryl has advised local businesses and small medium enterprises on corporate advisory matters, restructuring and employment matters. Cheryl has acted as co-mediator for dispute resolution at the Singapore Mediation Centre.